The bearings can operate reliably at speeds up to 3.3*10(6)dmn.The synergy achieved between the materials in the bearings also enables the Robust hybrid series to offer the user the benefits of lower heat generation, high seizure resistance, better temperature stability and Greater stability during high-speed operation. Nsk said the bearings satisfy the exacting demands of the latest generations of motorised machine tool spindles for smooth running -even during period of rapid acceleration, where their higher levels of temperature tolerance,low heat generation and resistance to seizure help to improve bearing life. All of these bearing meet a wide range of operational demands with a graduated construction, which, in its ultimate form,combines the high resistance to seizure and wear of NSK's SHX steel technology, with high speed qualities of Peek cage material and the operating speed and stiffness of hybrid silicon nitride ball material. 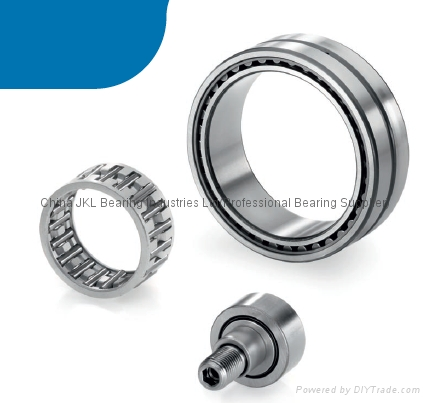 Specially developed by NSK ,this material has a ruduced amount of oxide non-metallic inclusions.As a result,it is an ideal bearing steel,providing extended service life when compared with bearings manufactured using conventionally degassed steel rings.